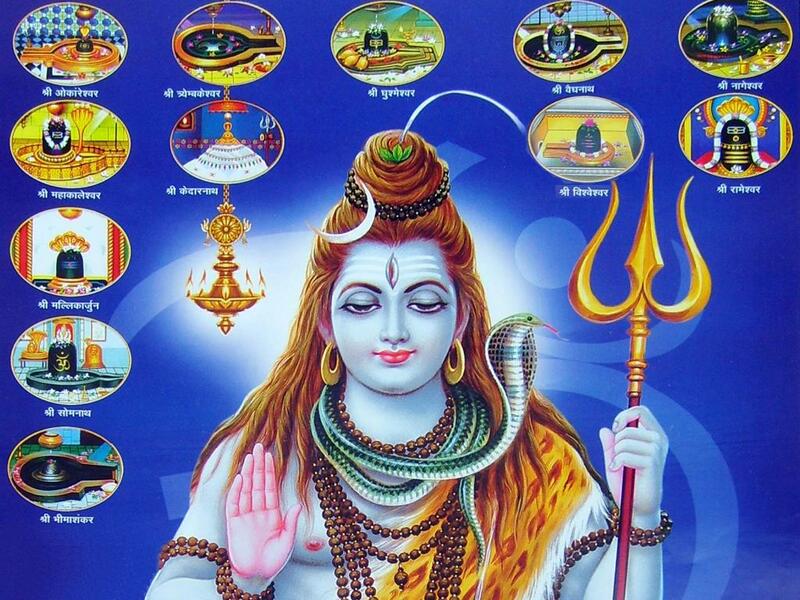 Jyotirlinga or Jyotirling or Jyotirlingam(Sanskrit Mean) are shrines where Lord Shiva, is worshipped in the form of a Jyotirlingam.These are the twelve ancient pilgrimage centers reference of which is found in the Shiv Purana. They are called jyotirlingas because Lord Shiva is said to have revealed himself to his devotees in the form of Jyoti i.e. light.There are 12 Jyotirlinga list with Sanskrit shloka of 12 Jyotirlinga List.The following sanskrit sloka describes about the 12 Jyotirlingas Of Lord Shiva and all full of Information. Sapta Janma Kritam papam, Smaranena Vinashyati||"
Here is All Information about 12 Jyotirlinga Temple list of India like Location.Built information,Entry,Timing,Best time to Visit,History,How to Reach,Map,Address,Phone no,Aarti Timing,Pooja Timing and all of Detail. 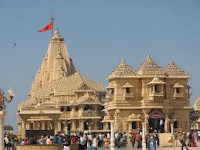 Somnath Jyotirlinga Temple is located at Viraval port Prabhas Pattan in Saurashtra Gujarat India.The Somnath Jyotirlinga is the first Jyotirlinga among 12 Jyotirlinga.The present Temple is a great imposing structure and is situated just on the sea shore. Nageshwar Temple is located at Devbhumi Dwarka Gujarat India.The temple is situated between Gomti Dwarka and Beyt Dwarka Island.The temple is dedicated to Lord Shiva. Bhimashankar Jyotirlinga temple is located near Pune in Maharshtra.Bhimashankar is also the source of the river Bhima, which flows southeast and merges with the Krishna River near Raichur.The place is hilly with beautiful greenery all around. 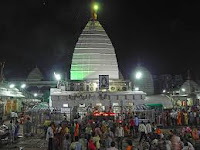 Vaidyanath Jyotirlinga Temple is located Deoghar, Jharkhand India.The main shrine of Lord Shiva is in lotusshape and 72 feet tall. The lingam is of a cylindrical form about 5 inches in diameter and projects about 4 inches from the centre of a large slab of basalt. 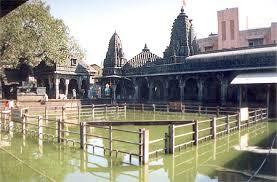 Grishneshwar Jyotirlinga Temple is located at Daulatabad near Aurangabad in Maharashtra India.The temple is dedicated to Lord Shiva.The Grishneswar temple was constructed by Ahilyabhai Holkar who also re-constructed the Kasi Viswanatha temple at Varanasi and the Vishnu Paada temple at Gaya. 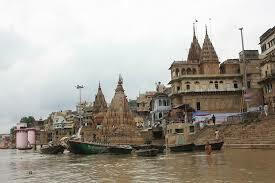 Grishneshwar is also known as Ghushmeshwar. Mallikarjuna Jyotirlinga Temple is located at on a mountain on the river Krishna.Srisailam, in Kurnool District in Andhra Pradesh.mallikarjuna Jyotirlinga Temple is known as Kailash of the South India, Mallikarjuna Jyotirlinga Temple constitutes one of the 12 Jyotirlingam shrines of Lord Shiva and is one of the greatest Shaivaite shrines in India. 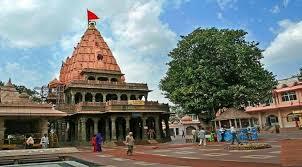 Mahakaleshwar Jyotirlinga Temple is located in Ujjain Madhya Pradesh. 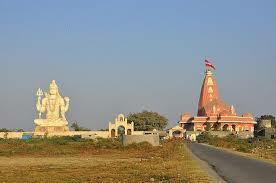 The idol of Mahakaleshwar is known to be dakshinamurti, facing the South. This is a unique feature, upheld by tantric tradition to be found only in Mahakaleshwar among the 12 jyotirlingas. Trimbakeshwar Jyotirlinga Temple is located near at a distance of about 30 km from Nasik in Maharashtra is revered as one of the 12 Jyotirlinga shrines of Shiva. This is an ancient shrine, however the current structure is a result of the reconstruction efforts undertaken by the Peshwa Balaji Bajirao in mid 18th century. Omkareshwar Jyotirlinga Temple is located on the banks of River Narmada, in between Indore and Khandwa at Madhya Pradesh in India.The temple is built in the North Inidan style of architecture, with high spires The soft stone of which it was constructed has lent its pliable surface to a rare degree of detailed work, of which the frieze figures on the upper portion is the most striking with the stone roof of the temple being intricately carved also. 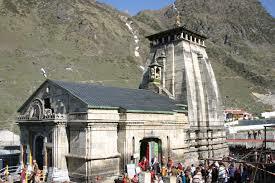 Kedarnath Jyotirlinga Temple is located in the picturesque surroundings of Rudra Himalaya Range at a height of 12000 feet on a mountain named Kedar. Kedarnath Temple is One Of The Twelve Jyotirlingas Of Lord Shiva.The temple at Kedarnath is one of the most sacred temples in the country. Each year the summer months see thousands heading to make this difficult pilgrimage. One of the holiest pilgrimages for the Hindus. Rameshwaram Jyotirlinga Temple is located in Rameshwaram Tamil Nadu. 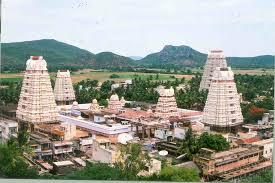 It is a huge structure with three parakaramsand several mandapams with mini shrines to other deities. There is a huge Anjaneya in a mini shrine. There is a huge Nandi measuring 12 feet in length and 9 feet in height., with the idols of Viswanatha Naicker and Krishnama Naicker. Kashi Vishwanath Temple is located at India's holy city Varanashi Uttar Pradesh.It stands on the western bank of holiest river Ganges. Kashi Vishwanath Temple is one of the most famous temple in Varanasi, also known as the Golden temple dedicated to the Lord Shiva. 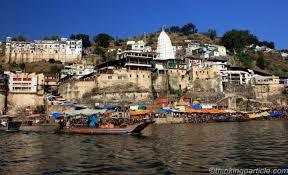 It was constructed in the year 1780 by the Maratha monarch, Maharani Ahilyabai Holkar of the Indore.